Okay, so maybe it’s not cold outside. This is So-Cal, where perpetual summer days live music and the best memories meld into always-springtime nights. Where Santa Baby crashes your par-tay in a ’54 convertible with the top down. In December. But as the Holidays draw near – and it’s minutes till “Fa-la-la-la-la” in every aisle – your Holiday Events loom large. Are you ready? The professional musicians of Replicas Music are. And we’ve got a 500+ song list waiting to deck your halls in style. Lights, camera, action… Cliché, right? Well, yes and no. Sure, it’s an over-used phrase. But in the world of parties and events, you can never have too much of a good thing. Live music? It rounds up those Big Three into a Big Four. 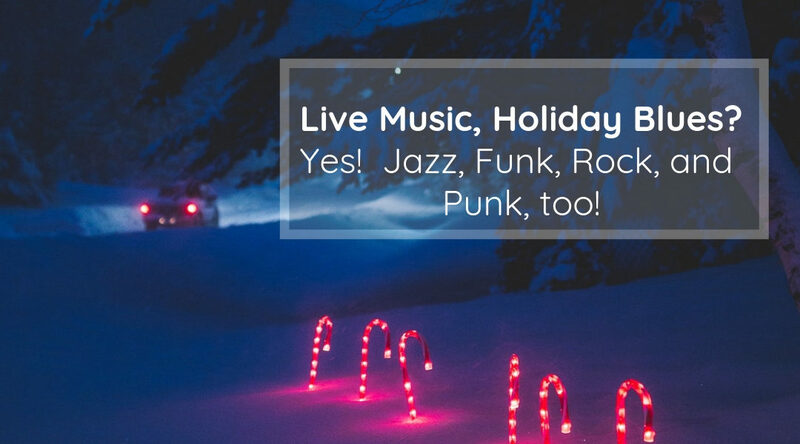 Because nothing rocks the house like Live Music Entertainment. Here are five good reasons to Go Live! this Holiday Season. Unlike your weekend-warrior pickup band, The Replicas Music has a myriad of ensembles and solo artists. Tribute acts to Latin to Big Band to Brass to Country to Jazz…Let’s just say we’ve got a list, and everyone on it is nice. The cost of live music is probably a lot less than you think. Big Band too big? No problem. We’ll work with you on musician count, genre, song list and tech to make your next event our next gig. We love making music, and we love booking gigs. Nuff said. We hate to toot our own horn (actually we love it), but let’s get down to brass. Replicas Music receives accolades for top-tier events time and time again. And RIGHT NOW is the perfect time to check us out before the Holiday Booking Frenzy hits full force. We’ll be there with bells on, just say when! Ever hear a musical performance that simply blew you away? We have. And we want your guests to experience that same sonic euphoria. Finding that guitarist who can make those silvers sing is no easy feat, but our standards are that high for every instrumentalist, vocalist and soloist we book. The Replicas Music is one of the few full-service Live Music & Event Production agencies that caters to small and medium-sized events. (But hey, if you’re running the Superball Halftime Show, call!) Just like a perfectly wrapped gift, we give our events have that human touch. Whether your personal nirvana is an ‘80s band or Sinatra, we’ve got your number.